Comey continuing his ridiculous interview tour just showing how feckless he really is. He thinks he is untouchable. Well to be fair if James Comey admits he knew Hillary’s campaign and the DNC financed Steele then he’d be confessing to a felony. So, of course, he lied. 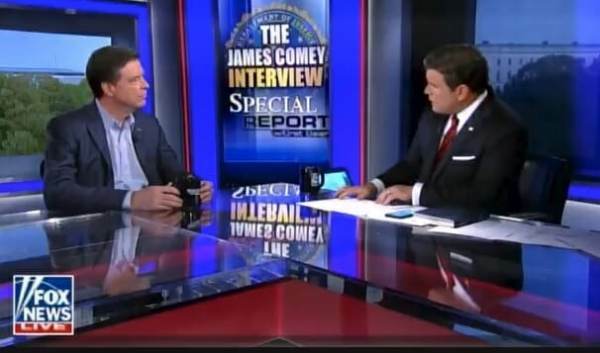 In the interview with @BretBaier, Comey kept saying “not to my understanding! I have no idea! I can’t remember!” 樂…What does that tell you? I’ve noticed a pattern of “I don’t know” responses from nearly everyone on the dem side when questioned about their criminal acts and misconduct. Maybe someone can do a video on it. Kinda reminds me of my daughter when she’s trying to hide what’s she’s done wrong! BREAKING: House Intel Committee Concludes No Collusion In 2016 Campaign... Read The Report Here!